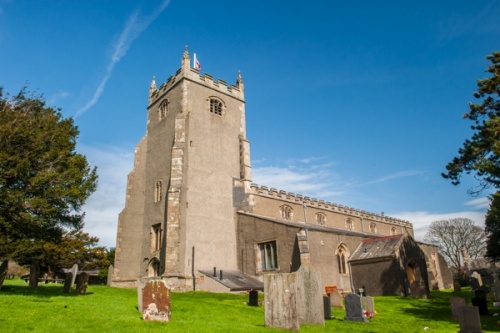 A beautiful medieval church dating largely the 15th century, St Oswald's is known for its association with the Washington family, whose most famous descendant was George Washington, first president of the United States. 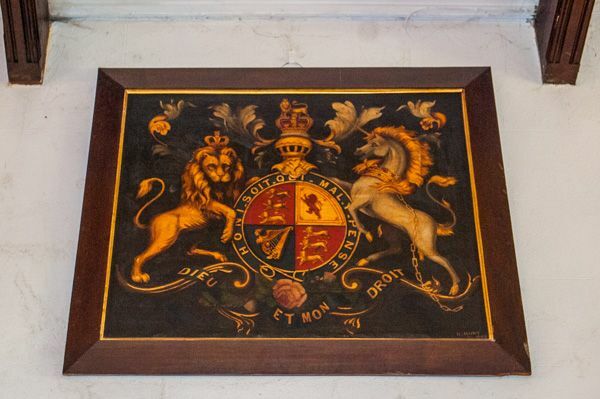 The Washington family coat of arms, in the church tower, was the inspiration for the US flag. Each year on 4 July the Stars and Stripes fly from the tower to honour the Washington connection. 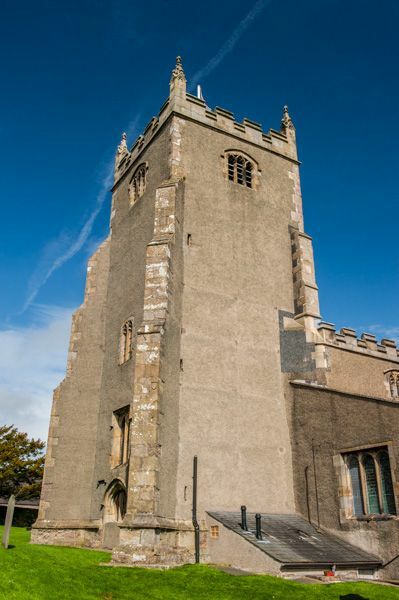 The tower itself was built by Robert Washington in the 15th century. Under the tower is a portrait of George Washington and a Washington coat of arms carved from stone. Though worn, you can clearly see the three mullets and two bars that inspired the stars and stripes on the American flag. The church consists of an aisled nave with a clerestory above, chancel, south porch, and west tower. In the tower hag three bells, cast in 1577, 1731 and 1782. 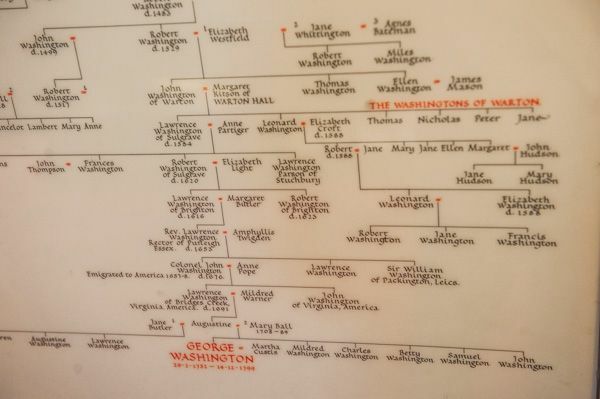 On the wall of the north aisle is an elaborate family tree of the Washingtons of Warton, tracing the ancestry of George Washington. The family tree also shows the descent of Sir Winston Churchill from Robert Kitson of Warton Hall. 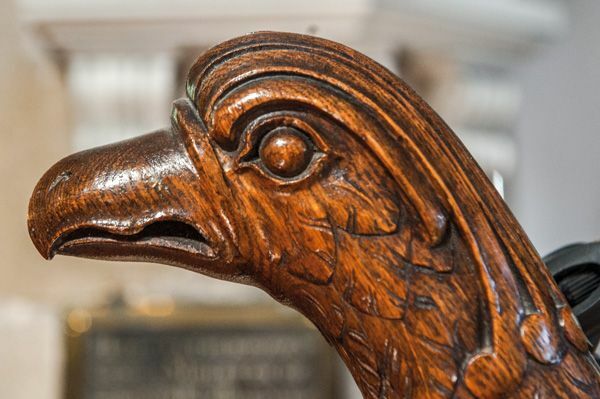 The pews are Victorian but one of the pews incorporates nine heraldic shields from an earlier Georgian box pew owned by Sir George Midleton of Leighton. 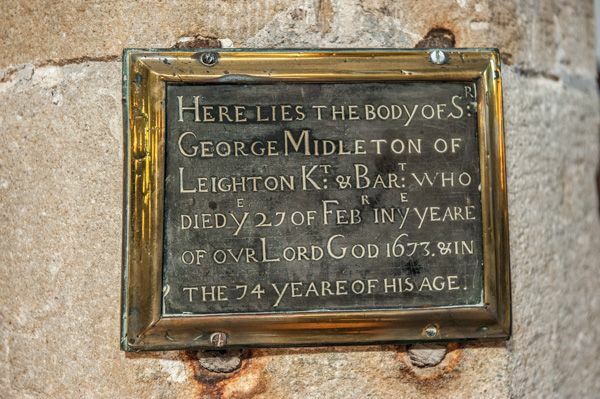 sir George died in 1673 and you can see a plaque commemorating his life attached to a pillar in front of the pew. Over the south doorway is a royal coat of arms from the reign of Queen Victoria. 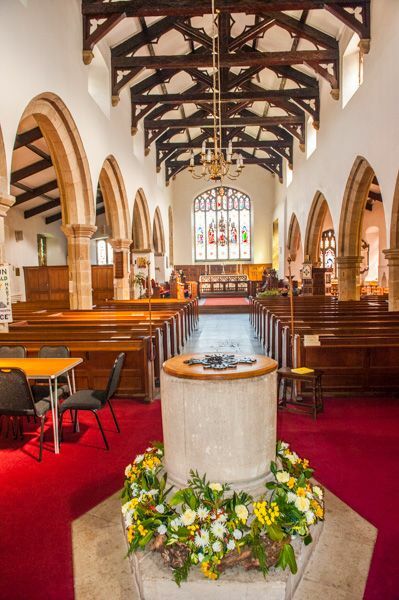 The oldest part of the church is the south aisle wall, which dates to the 14th century, though the font may be of Norman origin. 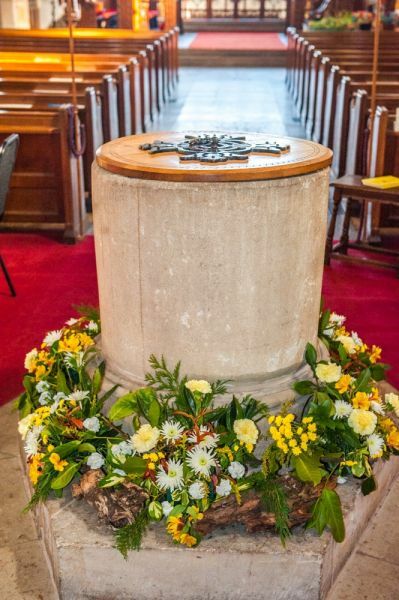 It was restored in 1661 when a highly decorative lead lining was added and the font was set upon a plinth. 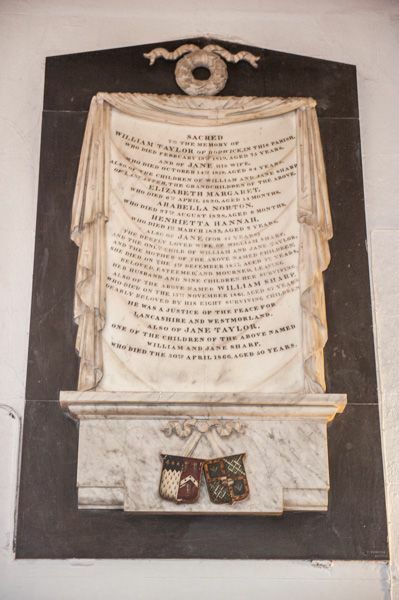 The font bears the initials of the local gentry who paid for the work; Sir George Midleton of Leighton Hall, Nathaniel West, and Sir Robert Bindloss of Borwick Hall. The windows are all Victorian, most of them given by the Sharpe and Linden families. One window commemorates two children of the manager of the Carnforth Iron Works who died young. Partially hidden from view in the vestry is a very finely crafted window by Shrigley and Hunt depicting St Oswald with St Patrick and St Aidan, along with the family coat of arms of William Bolden of Hyning (d 1895). The site slopes dramatically, with the north door over 2 feet above the nave floor. Just off Main Street is the medieval Old Rectory, long the home of rectors serving St Oswald's, now a partial ruin, in the care of English Heritage. Note: You may see Warton church listed as Holy Trinity, but this dedication is no longer accurate.